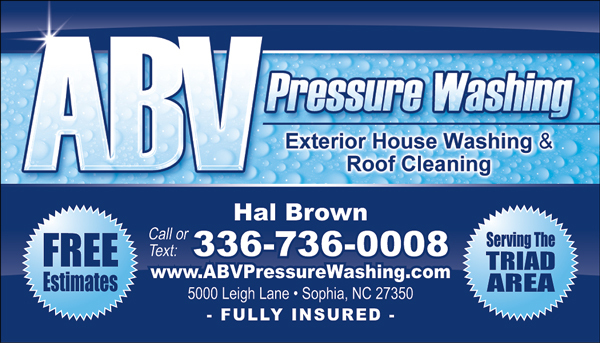 ABV Pressure Washing uses Low Pressure and High Volume cleaning equipment to safely wash away that unsightly buildup of dirt, grime, mold, and mildew that accumulates on your home's siding and exterior surfaces. 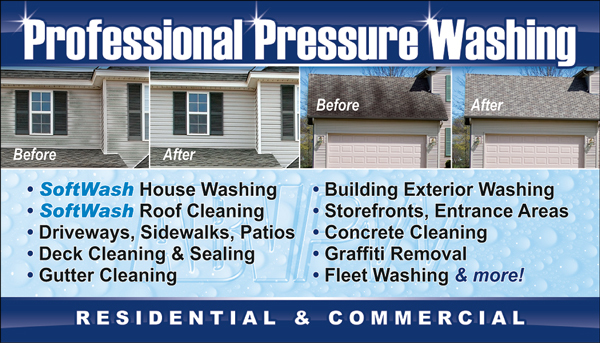 Our professional grade detergents are specially designed to eradicate mold and remove years of pollution from your home's siding. After the detergents have been allowed to break down the contaminants, we gently rinse it all away with a Low Pressure rinse (meaning there is ZERO risk of siding damage) to reveal beautifully cleaned, like new home siding! Without regular cleanings, your home's siding will not only look unsightly, it will have a shorter lifespan as well. Vinyl siding manufacturers recommend House Washing at least every 2-3 years to preserve the beauty and integrity of your home's siding. Plus, other surfaces like stucco, brick, and stone require regular cleanings to stay looking their very best. 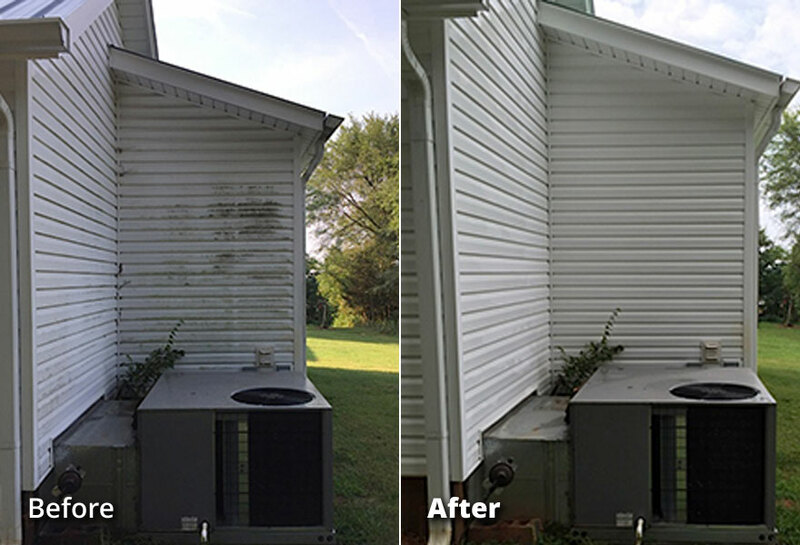 Keeping your home's exterior surfaces clean today will save you from having to spend thousands on premature replacement costs in the future. That's what call smart preventative home maintenance!